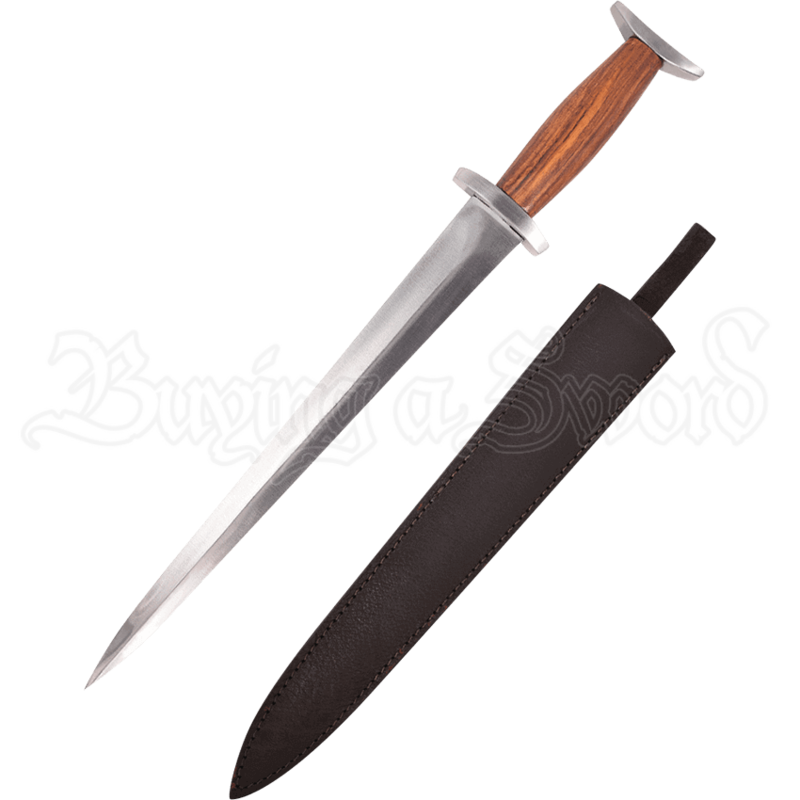 Regardless of role or social status within the medieval kingdom, you will certainly find a good use for the Sieghard Decorative Dagger. It lends authenticity to your look, be you a loyal knight, clever mercenary, or fearless rogue. The double-edged blade leads to a wooden handle with diamond-shaped crossguard and wide pommel. Made from Asian red poplar, the handle displays a beautiful wood grain finish. While this blade does not belong on the battlefield, it is the perfect accessory to a historical role. The included black leather sheath features a belt loop for easy carry when you are in costume. Please be aware that the blade arrives unsharpened. This dagger is not intended for stage fighting, but for costume and decorative purposes only. This item is handmade, therefore, it may vary slightly from what is shown above.